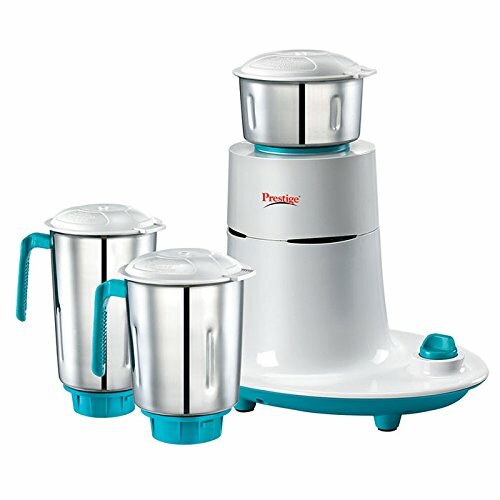 3 stainless steel jars, one mixer grinder base unit, SS wet jar 1.5 ltrs with blade, SS Chuntney jar 300 ml with blade. To Recieve updates and possible rewards for Prestige Mist please sign in. To Recieve updates and possible rewards for Juicer Mixer Grinder (JMG) please sign in.